Security Lights are a great low cost security measure, and is used to ward off most intruders - nobody wants to be seen while trespassing on a property. 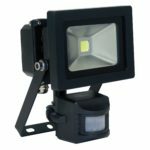 High power floodlights can be operated either from timers to come on after hours, or using PIR sensors to turn on when an infra red signature is detected. Come in store, book on-line, or give us a call for more details. 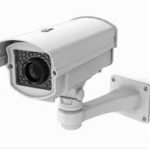 Security Cameras or CCTV is a great deterrent for criminals, but also serves as a tool to help when criminal damage or break in occurs. At Blackwell and Denton, we can install cameras to effectively cover any area, inside or out, and provide units to record and hold the video footage captured. Security Alarms are the best way to secure your property. Sensors can cover all access points, and can even send you a picture of unwanted guests to your mobile phone. Our alarm specialist can visit your home to do a survey and discuss your needs, and then recommend the system best suited to your home. Given recent events, fire safety has become a large concern for UK householders. Although installing fire suppression systems is not usually a viable option, there is much you can do to protect your home and your life. With qualified health and safety experts, at Blackwell and Denton we can provide you with the correct advice and equipment. 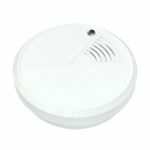 Detectors are the best way of alerting everyone to a potential fire within a property. Whether hard wired (permanently powered) or battery operated, detectors can often spot a problem before a human can, alerting property occupants. Our electricians can come out to you, recommend the right products for you, and install them at a time convenient to you. Give us a call or book an engineer today!